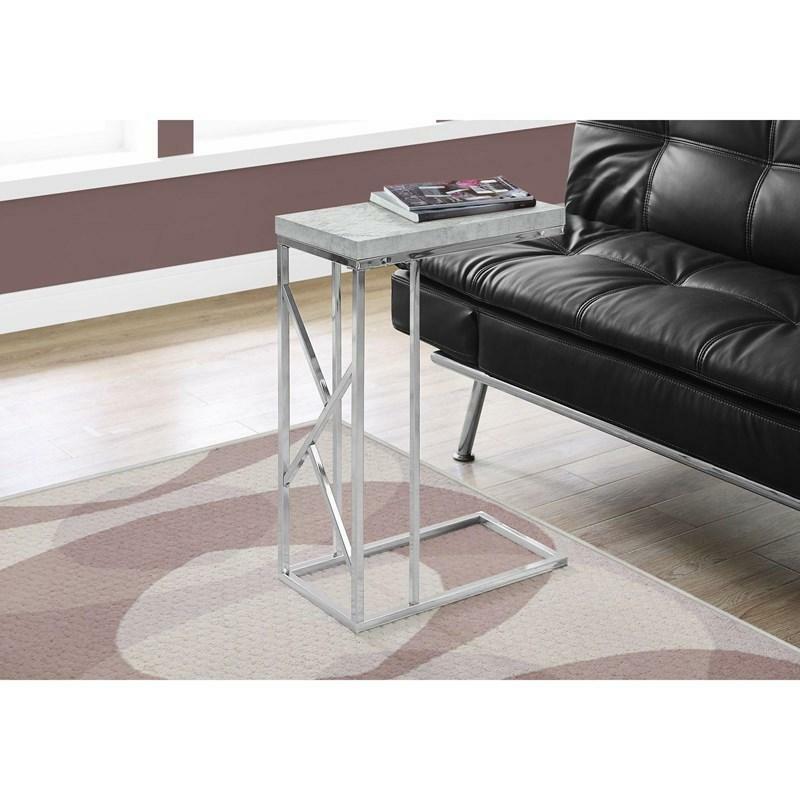 Add this modern, versatile accent snack table to any room in your home when you need that extra place to put down your drinks, snacks, work on your tablet, or even have a light meal. 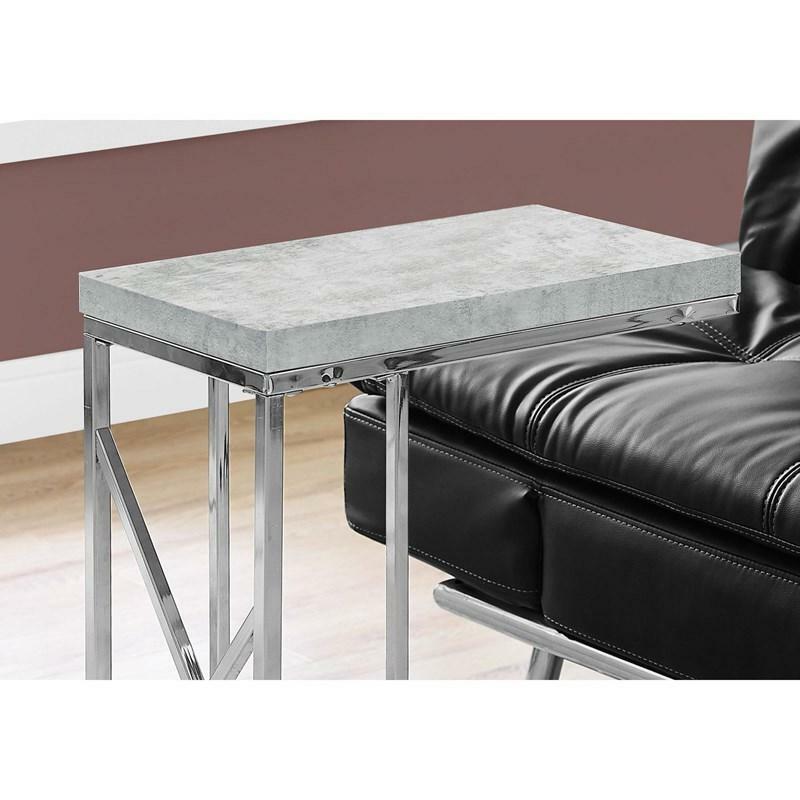 The chic industrial inspired grey cement look table top supported by a stylish sturdy chrome metal base brings a fashionable touch to your living room, family room, den, or office space. Volume 0.93 cu. ft. / 0.03 cu. m.